GATES BladeRunner 6608BR. Part: 858056608. 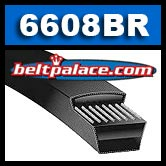 Outdoor Power Replacement Belt for OEM MTD, Murray, AYP, Bob-Cat, Homelite, Simplicity, Snapper, Toro, Exmark, and others. 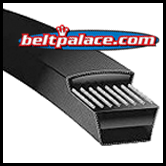 Replaces standard duty 3L205 V-BELT.